Being one of the most technically advanced and wealthy nations in the world certainly has its benefits, but there are pitfalls as well. According to a new activity report by the Active Healthy Kids Global Alliance (AHKGA), Danish kids scored a feeble D+ (on an A-F grade scale with A = excellent and F = failing) in terms of their overall physical activity – well behind a host of nations such as Slovenia, Zimbabwe, Mexico and Mozambique. “We can see that when we ask teachers, there are many who have difficulty incorporating movement into their lessons,” Lisbeth Runge Larsen, the Danish project leader on the report, told DR Nyheder. The good news is that when it comes to organised sports participation, Denmark scored an ‘A’ and is ranked first out of the 38 nations listed. Over 80 percent of Danish kids do some kind of organised sport in their spare time. Denmark also scored well in other parameters such as Active Transportation (B), School (B), Community & Built Environment (B+) and Government Strategies & Investments (A-). But that alone isn’t enough. “We scored really well in organised sport, but they might only go to that once a week, and that won’t suffice. We all have a responsibility to be good role models for our kids,” said Larsen. 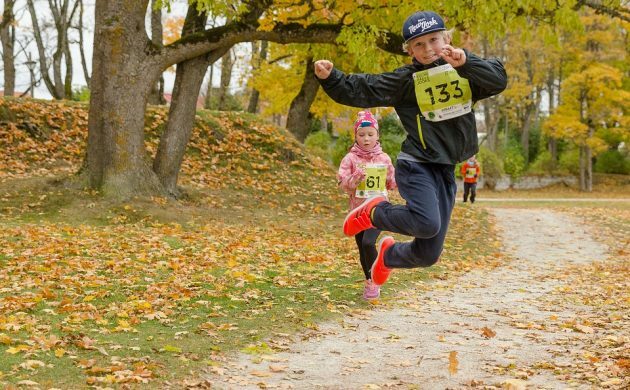 Denmark needs to take a closer look at Slovenia, which tops the overall activity list with a score of A- and has been praised for how it integrates activity into its education system. AHKGA is a network of researchers, health professionals and stakeholders who are working together to advance physical activity among children and youths around the world.